Named by Best Lawyers in America as the “2012 Atlanta Lawyer of the Year” in the exempt organizations area and as the “2013 Atlanta Lawyer of the Year” in the trusts and estates litigation area, Ben White's practice emphasizes exempt organizations of all kinds, as well as estate and tax planning. As a partner in the largest and most comprehensive exempt organizations practice in the Southeast, Mr. White is widely known for his successful representation of exempt organizations with intractable tax problems. His clients include international, national, regional and local tax-exempt organizations, public and private, located throughout the United States and in other countries. Mr. White counsels extensively with both exempt organizations and lawyers, accountants and other professionals representing exempt organizations; and he provides strategic advice on the array of tax, business, cultural and political issues that are distinct to exempt organizations. 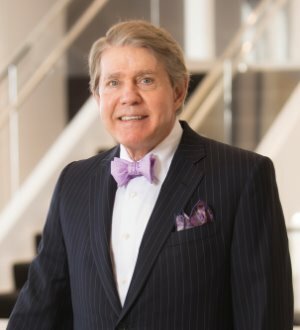 Mr. White also maintains an extensive wealth planning practice, representing some of the wealthiest individuals and families in the Southeast and providing counseling to individual and institutional trustees, executors, personal representatives and other fiduciaries throughout the region.